Elementary and secondary Student Voice leaders from across the Maple Ridge – Pitt Meadows School District are ready to be the change. 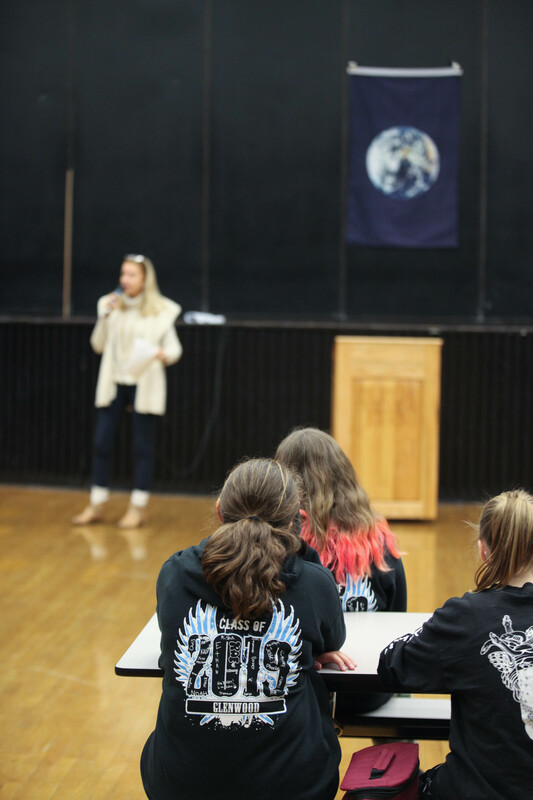 Last week the students attended an event hosted at Westview Secondary that included a keynote presentation by Maureen Jack-LaCroix of Be the Change Earth Alliance. Be the Change supports global sustainability through education that empowers behaviour change. Afterward, a trio of leadership students from the Delta School District shared an inspiring presentation on some of the sustainability initiatives at their district. Alexandra Tudose, SD42 manager, energy & environmental sustainability, helped organize the event and encouraged students to take sustainability action at school and at home by taking a ‘green’ pledge, signing up their school for the annual SD42 Energy Challenge, which takes place during the entire month of February and starting a Green Team at their school. “Many people often overlook an idea or never take action on something because they believe they can’t make a difference. Small changes can add up to big results. I hope that what students heard at Student Voice will encourage them to take action on climate change and sustainability,”said Tudose. Learn more about the SD42 Energy Challenge.